Opus VII is a woody fragrance evoking the juxtaposition of harmony with the intensity of recklessness. 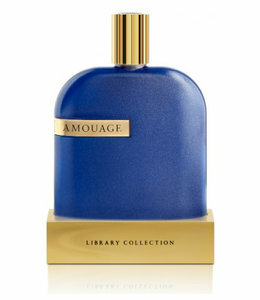 Amouage's Library Collection is a range of remarkable, precious fragrances that celebrate integrity, originality and virtuosity. Opus VII is a woody fragrance evoking the juxtaposition of harmony with the intensity of recklessness. This spicy oriental fragrance is built around daring heart notes of argarwood smoke,patchouli and leather, which are introduced perfectly by top notes of galbanum, pink pepper, cardamom and nutmeg. The rich intensity of the fragrance is anchored by earthy notes of costus root, sandalwood and oilbanum, creating a rich unisex fragrance to adorn your collection.